As part of our summer holiday, the family Jordan visited Taunton Odeon to watch Pixar's latest blockbuster. The general consensus from my progeny was that it was a cute and enjoyable piece. 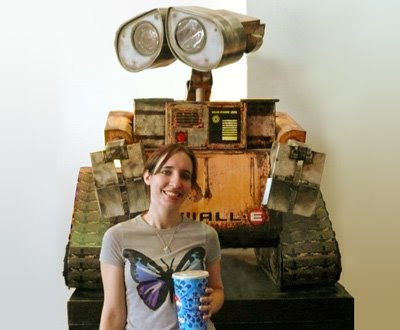 WALL·E was a curate's egg to me, the animation is some of the best I have ever witnessed, and the humour is creatively understated. The decision to make most of the dialogue out of wordless blips and blops was courageous, and it works brilliantly. The 'battery-farmed' humans are well observed, managing to be both pathetic and charming, although the captain's transition from 'passive' to 'hero' was a little sudden. The Disney/Pixar optimistic-humanism continues to jar with my world-view, with no real explanation given as to why this bunch of humans are going to make any better a job of sorting the world out than the ones that preceded them. from a very enjoyable 7 days of sleeping, reading, sunbathing, swimming, eating, drinking and watching movies and TV episodes on the kidz' computers. The journey was uneventful, and the trains were air-conditioned and comfortable. However 14 hours to get to the South of France is a little too long (Zak was losing the will to live by Lille, and even I was beginning to ask "Are we there yet?" by Avignon). Oh, and don't believe anyone who tells you there will be plenty of room for your luggage. We spent the return journey from St Raphael to Lille with our suitcases precariously balanced on the table between our seats. For pictures of our stay visit my Flickr photostream. Now, off out to get tea, milk, eggs, bacon and pastries. Up at 4.00am (assuming we have actually gone to bed), take the 140 bus to Harrow-on-the-Hill, then the Metropolitan Line to St Pancras, from there to Lille, then a long trawl to St Raphael. Once there, Cyan will use her French skills to procure a 7-seater taxi that can ferry us to the St Fréjus Eurocamp site. Assuming all this goes smoothly we will be spending a leisurely week in a 3-bedroom air-conditioned trailer. I have Thomas Pynchon's Gravity's Rainbow to read and will occasionally emerge to swim, shop and eat. If there is internet access there may be the occasional blog and Flickr entry. If not, see you in a week. 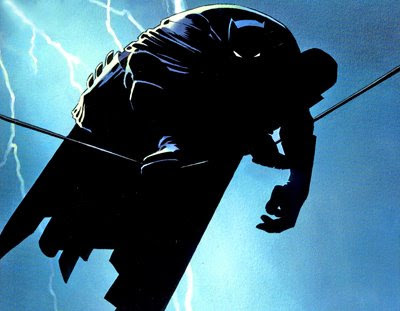 'Batman: The Dark Knight Returns' was originally a 1986 DC comic book series, written and drawn by Frank Miller. It revived Batman's 1930s roots as a damaged and edgy superhero. Set in the 'near future', Batman has been 'retired', following the death of the second Robin, and a gang of schoolchildren calling themselves the 'Mutants' are terrorizing Gotham City. Following a failed attempt to rehabilitate Harvey Dent (Two-face), Batman, erm, returns and defeats Two-face. But rather than hailing Batman as a hero the media questions his motives, portraying him as a dangerous, psychopathic vigilante. And so begins a sprawling, complex adventure that includes the Joker, Green Arrow, Superman and a 13-year-old female Robin. The drawing and inking is uniformly excellent, and the writing is a good example of how you can maintain a strong narrative without pages of explanatory prose (Watchmen 'cheats' in this area). If you think that graphic novels are just comics for semi-illiterate growed-ups, this is the book that may change your mind. If it doesn't, I can't think of one that would, except maybe Miller's equally superb Sin City series. Oh well, that's another blog to prepare. 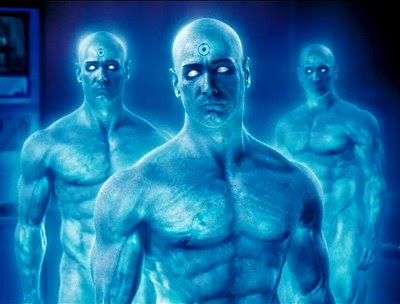 I blogged on the graphic novel a while back, and mentioned that a movie was imminent. Well, a trailer is now available. 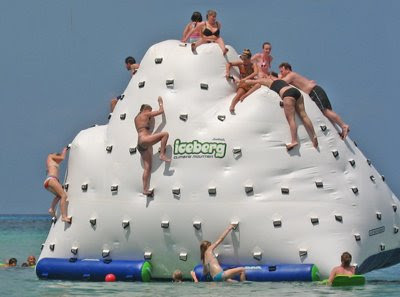 Forget bouncy castles, for a mere $6,000 you could purchase a 14 foot Iceberg Water Climber. Three of its sides feature climbing walls of varying difficulty, and the fourth is a slide. Ocean not included. 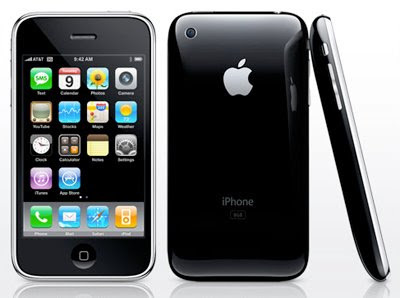 The second version of the iPhone has arrived, and it is very hard to find a negative review of it. And there have been more of them sold in a weekend than most mobile phone models sell in a year. I will soon be the only person on this planet without one. But I'm gritting my teeth and waiting. My 4-year-old 60GB iPod Photo is still working fine, and my Nokia E65 is more pocketable, and has useful features that the iPhone lacks. So Steve and Jonathan, here's a few features to put on your 'iPhone III' to do list. Ta. A group of experts from around the world will hold a first of its kind conference Thursday on global catastrophic risks. They will discuss what should be done to prevent these risks from becoming realities that could lead to the end of human life on Earth as we know it. On the final day of the Global Catastrophic Risk Conference, experts will focus on what could be the unintended consequences of new technologies, such as superintelligent machines that, if ill-conceived, might cause the demise of Homo sapiens. "Any entity which is radically smarter than human beings would also be very powerful," said Dr. Nick Bostrom, director of Oxford's Future of Humanity Institute, host of the symposium. "If we get something wrong, you could imagine the consequences would involve the extinction of the human species. We want to preserve the best of what it is to be human and maybe even amplify that". Transhumanists, according to Bostrom, anticipate an era in which biotechnology, molecular nanotechnologies, artificial intelligence and other new types of cognitive tools will be used to amplify our intellectual capacity, improve our physical capabilities and even enhance our emotional well-being. The end result would be a new form of "posthuman" life with beings that possess qualities and skills so exceedingly advanced they no longer can be classified simply as humans. Brett's 2p'orth: The rest of the article is worth a read, although a bit of a 'Gosh-wow' piece, it addresses an issue that is inevitable and whose ethical ramifications are complex and ambiguous. 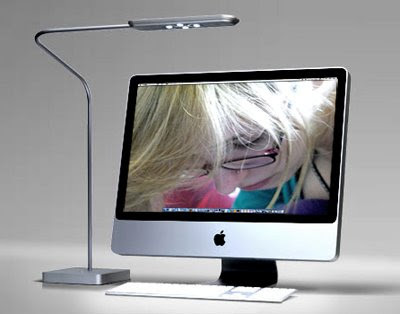 Highwire is a LED desk lamp which emits enough light for practical use. Generally a desktop work area needs around 300-700 lux of light in order to be able to work comfortably. Highwire produces more than 1,000 Lux. Highwire is not only the brightest LED desk lamp but also has an incredibly long life span. It keeps 70% of its original light output even after 50,000 hours. The colour emitted by Highwire matches the color of a computer display. 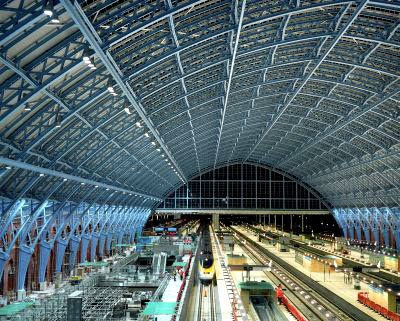 The light coming from Highwire does not include infrared rays and so emits less heat. Highwire is equipped with a slow start and stop mechanism in which the light gradually brightens when turned on and dims when turned off. Jupiter's third giant red storm has been chewed up by a collision with the planet's other two red spots and does not appear to have survived. Astronomers are still scrambling to capture pictures of the aftermath, but it appears Jupiter's third spot was torn up last week when it squeezed between its larger cousins, the Great Red Spot and Red Spot Junior. The third spot first appeared earlier this year when a white storm turned scarlet. On Wednesday, traces of clumpy red material seemed to have survived, although "it's not really a spot any more", Glenn Orton at NASA's Jet Propulsion Laboratory in Pasadena, California, US, said. "It's just sort of scrambled. It's a blob." 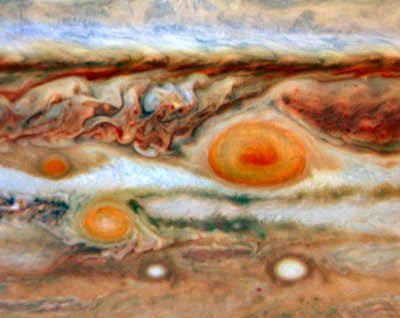 Jupiter's spots are massive, hurricane-like storms. The Great Red Spot, which is three times the diameter of Earth, has been raging for at least 340 years. Red Spot Jr, also known as Oval BA, turned red in 2006. The third red spot had been moving toward the Great Red Spot, but its ill-fated positioning between the two other spots came as a surprise. "I didn't think it would get mashed between two of the largest storms in the solar system," Orton told New Scientist. "That's not something anyone anticipated." 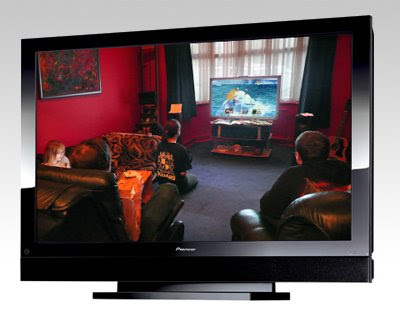 Register Hardware have published a review of Pioneer's new plasma screen. There is a lot of talk about LCD vs plasma performance, but from my experience the bottom line is that a good plasma screen beats a good LCD screen every time, creating an more involving, natural visual experience. And it looks like Pioneer's latest series has improved things another notch. Based on David McCullough's bestselling biography, 'John Adams' chronicles the early years of the United States of America, with special focus on its second president, his family, friends and colleagues. 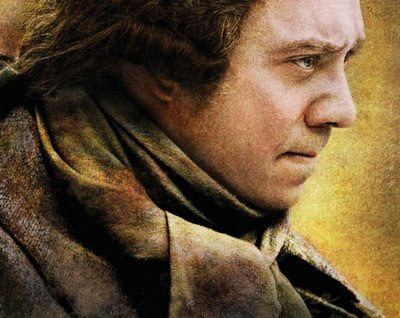 Paul Giamatti plays John Adams with breadth, depth and gritty conviction, while Laura Linney is fantastic as Abigail, his devoted wife, friend and loving critic. The complexities of the human relationships involved in the formative years of independent America are deftly portrayed, as are the huge differences in the transport, communication and medical knowledge that existed at the time. The English are definitely portrayed as 'baddies', but never in a caricatured manner, and John Adams' meeting with the English king is particularly illuminating. The last years of John Adams life are detailed and measured in pace, as the once vigorous participants in America's independence grow old and die. Often sad, but never maudlin, this is the most successful part of the series. History is not my strong point, and American history even less-so, but I feel like I know a little more after the 7 hours I spent watching this series, and hope there will be others like it produced in the future. Big Picture has collected a stunning array of images depicting this gruelling test of muscle and technology. I blogged on this one a while back. 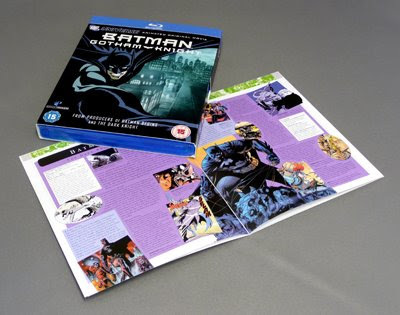 My copy arrived today, and I was pleased to discover that my fifteen quid had purchased not just a Blu-ray disc in a cheap plastic case, but a well-produced character guide as well. Will report back as to whether the film lives up to expectations. 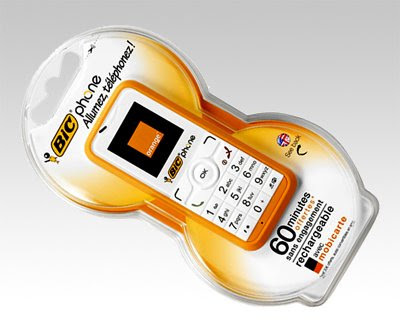 BIC, famous for disposable pens and lighters, is launching the BIC Phone in France. As with their other products, the BIC Phone focuses on core functions - making and receiving phone calls & texts. Available in two colours, citrus orange and lime green, the USP of the BIC mobile phone is that it’s ready to go when you buy it - the BIC Phone is charged and ready to go with 60 minutes of credit onboard. It’s going to be available, from around September, only in France, in major supermarkets and local convenience stores for 49 Euros. I didn't have high hopes for this World Wrestling Entertainment vehicle, but it had some surprisingly good reviews, and was available to rent on Blu-ray, so I thought I'd give it a try. The storyline is simple, put 10 death-row prisoners on an island with the aim of only one of them leaving it alive. So far, so predictable. But the sub-plot is that there are web-cams across the island, and evil millionaire Ian Breckel (Robert Mammone) is betting that millions of people across the world will pay $50 per person to watch the show online. Although there are going to be no Oscars awarded for the acting, the growing realisation among Breckel's employees that this is very, very wrong is well played, and the way that the 'entertainment' they are creating becomes reality is well-paced and involving. 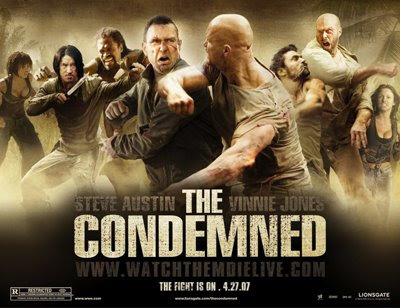 Man-mountain Steve Austin plays the 'good-guy' part well and, after a shaky start, Vinny Jones brings a convincing damaged nastiness to his familiar 'baddie' role. As an action movie that will provoke a little thought, this one is worth a watch, and if you have the facility to watch it in Blu-ray, the 1080p image quality is superb. OK, and I also forgot about Ziyi Zhang, star of Crouching Tiger, Hidden Dragon; Hero; House of Flying Daggers; Memoirs of a Geisha... simply stunning. 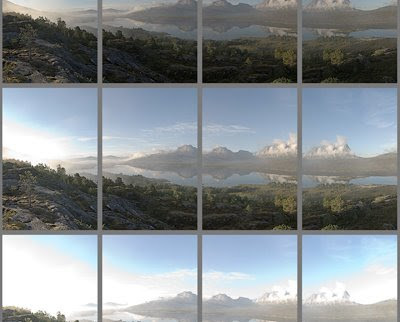 Klaus Norby has published a Blade Runner-style zoomable HDR photo, along with the 12 photos he used to produce it. Was driving into work today, and realised I had left Milla off my Eight stunning actresses list. I fell in love with her as Leelo in Fifth Element ("Multipass!" is now part of the Jordan family vocabulary). 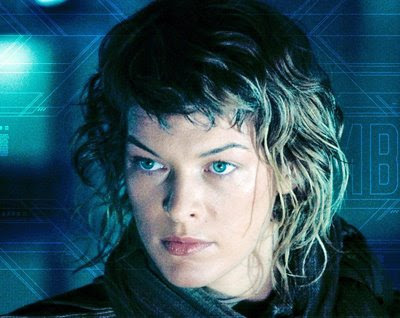 I have since seen her in a number of movies, some excellent (Joan of Arc and Zoolander), some not-so-excellent (Resident Evil), and some execrable (Resident Evil: Apocalypse, Resident Evil: Extinction and Ultraviolet). Now I've got to work out who she would have replaced in the orginal eight. Decisions, decisions! An upgraded robot designed by General Electric Fanuc (GEF) and programmed by Nuvation Research Corp. (San Jose, Calif.) can beat most human air hockey players, its developers claim. So far, the robot has defeated every human opponent running in 32-bit mode, averaging three times as many goals as human players. The algorithm's success resulted from revising its strategy whenever a goal was scored against it. Some revisions were refinements of strategies, but others were outright fixes to bugs in tactics. "Good players would 'sucker' the robot into overextending, then slip a goal in behind the arm while it was recalculating. We fixed that by automatically retracting at the end of each move," Worry said. As was the case when the Polaris AI system beat humans at poker and IBM's Deep Blue supercomputer defeated Gary Kasparov at chess, expert players are now challenging the GEF robot to an official tournament. A challenge has yet to be scheduled. 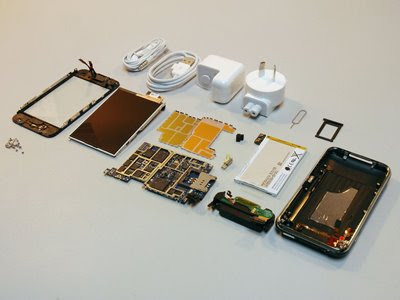 Before most of the world has a chance to buy one, a team from the ironically titled ifixit has travelled to New Zealand so they can pull one to pieces. Watched 'Shoot 'em Up' again on Monday, and was struck by what a photogenic, drop-dead-gorgeous face Monica Bellucci has. It got me thinking about actresses that I find particularly fascinating, enough that I'm happy watching a lacklustre film, just to enjoy watching them on-screen. And so, from top left to bottom right, in no particular order of preference: Summer Glau, Salma Hayek, Penelope Cruz, Maggie Gyllenhaal, Halle Berry, Aishwarya Rai, Scarlett Johansson and Monica Bellucci. 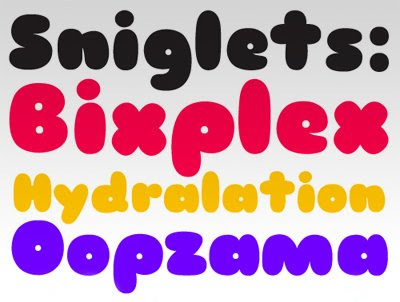 Kingdom of Awesome has recently released Sniglet, a cute, bubbly typeface. Click here to download. Register Hardware has posted an extensive, very postive review of HTC's 'iPhone botherer'. The first thing that struck us about the Diamond was how small it was. We were expecting something altogether more iPhone-like in both size and weight, but the HTC is a fair bit smaller - 102 x 51 x 11.5mm to 115.5 x 62.1 x 12.3mm - and, at 110g, it's lighter than the 133g iPhone. In the hand, the Diamond is a plastic affair, but feels solid enough and has a slick, modern and minimalist quality to it. Only the rather cheap and shiny angular 'diamond' back panel divided office opinion on the aesthetics. 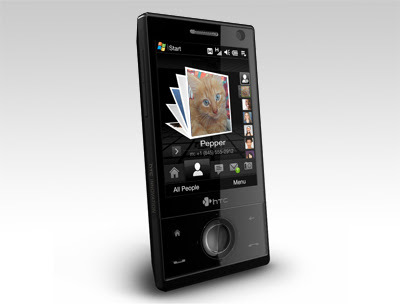 Running Windows Mobile Professional 6.1, the Diamond does what every other member of the Touch family does. By way of basic technical specification, you get 7.2Mb/s HSDPA 3G, tri-band GSM/GPRS/Edge, 802.11b/g Wi-Fi, 4GB of on-board storage, GPS, an RDS FM radio and a 3.2-megapixel autofocus camera. The absence of a Micro SD slot is a bit odd for a GPS-equipped handset when so many navigation software packages come on memory cards and are sold under the premise of plug in and away you go. The 2.8in, 480 x 620, 65,536-colour screen is bright, clear and easily readable in even the strongest sunlight. The Diamond proved to be remarkably stable for a Windows handset. 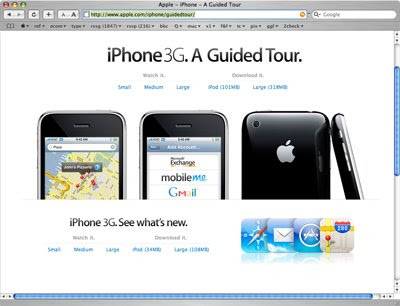 The Opera 9.5 browser is without a doubt the closest thing to the iPhone's Safari and makes the Diamond and the iPhone just about the only two handsets in the market that you would use to browse the web by choice rather than by compulsion or for want of anything better to hand. The 3.2-megapixel autofocus camera won't be winning any awards, but is a massive leap forward over HTC's usual photographic offerings. 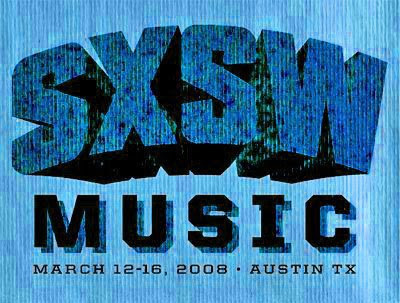 "...a space where people can buy/sell/trade/give away their ex jewelry - ex-boyfriends, ex-husbands, ex-girlfriends..."
SXSW 2008 posted 764 songs for free download in February. I've just completed listening to them, and have kept 459 of the tracks. Here's my top 5 from the last 200. Anna Leigh - The Sadies: Alt-folk train song. Yep, I'm a sucker for a train song. Crucifixed - Mitra: I'm not the biggest fan of the darker side of metal, but these Dallas-based sons-of-fun manage to keep the noise melodic and structured. Empire - Kaddisfly: A progressive, experimental, reggae-styled workout. Clever without being pretentious. The Next Big Thing - Cliff Eberhardt: A gruff, world-weary voice, backed by stark acoustic guitar and a Hammond/Leslie organ. Pale Bride - The Von Bondies: The 'Bondies only do one song. But it is a good one. The automotive community has clearly been impressed with the GINA Light Visionary Model concept that BMW unveiled this week. 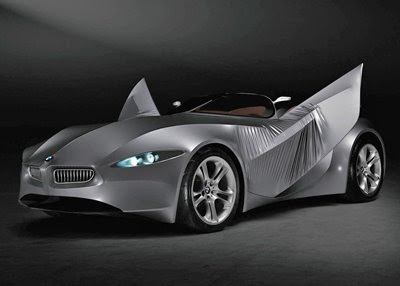 The fabric-covered concept with its winking headlights, blinking gauges, mouth-like hood, and unique ability to shape shift by moving its metal-and-carbon-fibre skeleton via electro-hydraulic actuators is marvelously creative and practically ingenious at the same time. 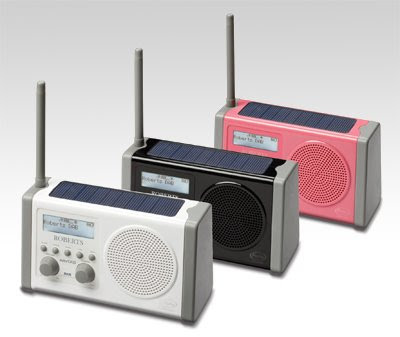 solarDAB is the world's first solar powered DAB radio. This stylish and compact portable radio has a solar panel integrated into the top of the unit which absorbs direct sunlight in order to power the radio. There is a level indicator on the diplay screen that shows the strength of the solar level being absorbed, if the level is over half, the unit is being powered directly by the sun. The built in rechargeable battery pack is being continuously charged whilst the radio is in direct sunlight. Once charged, the batteries will last up to 27 hours, the radio can then be used in complete darkness for this period until it will need re-charging either by sunlight or the mains adaptor. It has a line-in socket for iPod/MP3 playback, and is available in white, black, pink, red or green. Size 190(w) x 110(h) x 80(d) mm. Weight 672g. 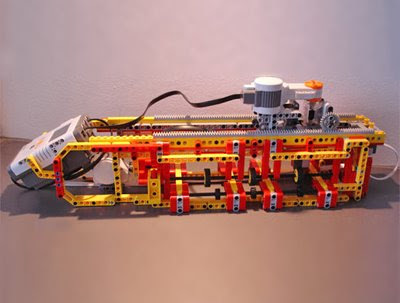 Lego kits such as the Mindstorm NXT line help prove the point that the toy bricks aren't just for kids. The kit sells for $250, and includes all manner of goodies, from programmable software to ultrasonic sensors. If the beauty of such an expensive kit is that you can build anything you dream up, then Anders Søborg’s color image scanner built from a Mindstorm NXT set is a testament to that claim. Søborg used a HiTechnic color scanner popular with Mindstorm NXT fans that swiftly pans across an image and is able to save it in both color and grayscale on the NXT's flash memory. An LCD on the scanner allows you to sift through its options, and the end scanning results — while it won't replace your copy machine at the office — are impressive, especially for a Lego kit. In recent months the Met's detectives have used data recovered from satnav systems of suspects to investigate kidnappings, child grooming, murder and terrorism, forensic experts say. The gadgets can store hundreds of records of recent locations visited, revealing, for example, a person's home. It also includes information on the destinations a potential criminal may have typed into a unit. 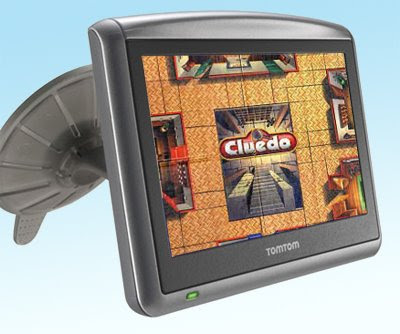 Beverly Nutter (not a made-up name, Ed), forensic analyst at the Met's Computer Systems Laboratory studied gadgets made by market-leader TomTom of the Netherlands. She found that they often retain records of past locations – old records have their file names removed but are not properly erased. "The persistence of the records for the TomTom, I think, is more to do with the way data is moved around when new records are added to the [mapping] file. The edited file is written to a new location and the older version remains until overwritten," Nutter told New Scientist. Using your mobile phone to pay for a sandwich at lunchtime could soon become a reality. 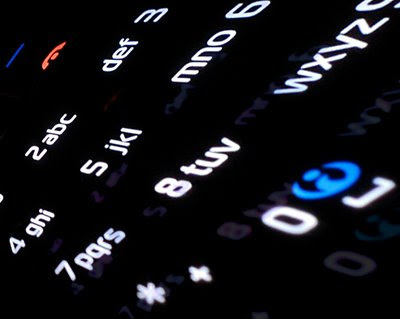 The global trade body for the mobile industry and a European monetary organisation have signed a pact to speed up the deployment of handset payment services in Europe. The GSM Association (GSMA) and the European Payments Council (EPC), which represents 8000 banks in the EU, will now jointly co-ordinate efforts to get phones paying for just about everything, from impulse purchases in shops to restaurant meals. In Japan, mobile-phone based payments are already thriving. So much so that Japanese carrier KDDI and the Bank of Tokyo recently jointly created a bank specifically designed to create accounts for anyone using cashless-enabled mobile phones. 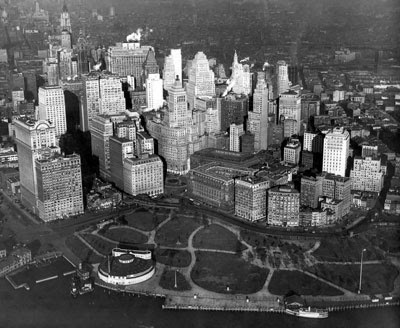 Wired New York has published a fascinating collection of briefly-captioned pictures chronicling the history of the city. Fat Boy Slim's latest project, featuring David Byrne & Dizzee Rascal. It's a fun song, with an excellent video. 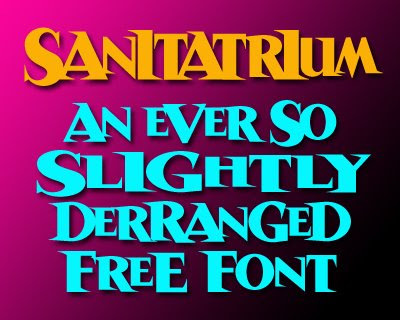 Blambot have just uploaded Sanitarium. Available for Mac and PC. If the program you are using supports Opentype, download that version, as it will make sure that consecutive identical letters will be varied to maintain a consistently, erm, random look. P.S. Sorry for the misspelling of 'deranged'. Ebuyer is currently selling the Western Digital Elements 500GB External Hard Drive for £49.99 including VAT and delivery. It's no looker, but the casing is slim and solid. And it houses a fast (7200RPM, 480Mbps, 8.9ms seek-time), quiet drive. 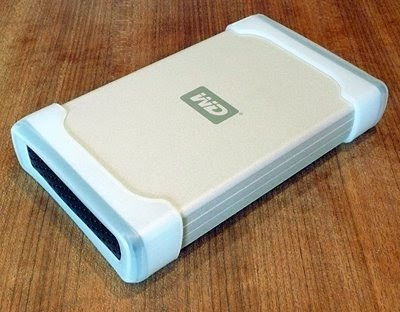 It is USB 2.0 only, so it won't work as a start-up drive for non-Intel Macs. However, if you're one of those people who is still putting off getting a backup drive, your excuses keep getting weaker. 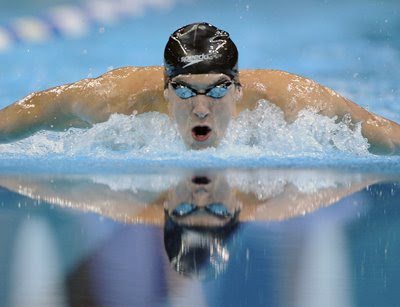 The Big Picture has a superb gallery of images from the U.S. Olympic Swimming Trials in Omaha, Nebraska. 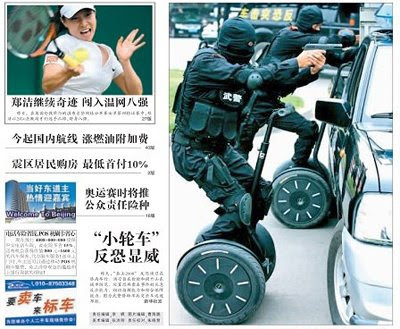 The front page of Chinese newspaper 'The First' has an image of Chinese armed polices using Segways during a counter-terrorist exercise in Jinan, Shandong Province. I wonder if we'll see Jack Bauer using one in the next 24 series? 8 Bit Weapon is Seth, ComputeHer, and MelBot. 8 Bit Weapon has performed across two continents with an arsenal of 8 bit weapons, which include a Commodore 64 and 128, a couple Nintendo Gameboy classics, Nintendo N.E.S., Intellivision synthesizer, Atari 2600, Speak 'n' Spell, Speak 'n' Music, some hybrid lo-fi acoustic-electric drums, and an assortment of other vintage and toy synthesizers. 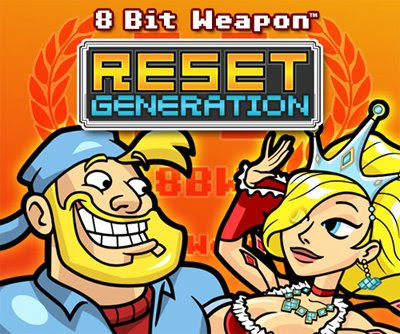 Brett's 2p'orth: For anyone who fancies reliving their Galaxian and PacMan-playing past, the tracks they produced for a game called Reset Generation are available for free download. The final track '2D Died' (a eulogy to 8bit games [extremely badly] sung to the tune of Don McLean's 'American Pie') is begging for someone like Weird Al to transform it into something listenable. Also available on YouTube. JVC’s latest line of HD TVs include all the usual features you’d expect, including HD resolution and HDMI ports. But the range also boasts one slightly quirky feature: an iPod docking station. The P-Series consists of a 32in, 42in, 47in and 52in model, all of which have a TeleDock flip-down iPod dock integrated into the stand. Once docked, users control both gadgets through the TV’s remote control, which also features a circular controller similar to the one on the iPod. In addition to playing your iPod’s musical library through the telly’s built-in speakers, the player is also being charged. Several video modes let you play content at varying resolutions. 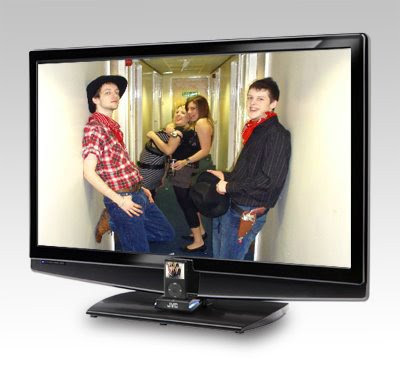 You can even listen to music while a TV programme’s displayed on-screen. The three largest screen sizes each boast a 1080p resolution, but anyone opting for the 32in model will have to make do with a 720p resolution. 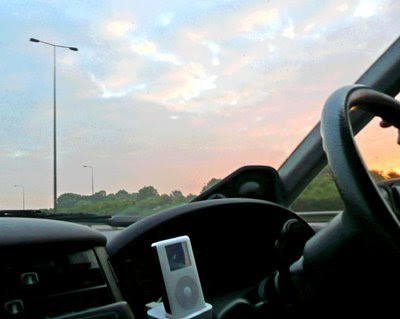 Brett's 2p'orth: Why has the iPod been put in such a visually distracting position? I find the green LED on the right-hand side of my plasma's screen distracting enough, let alone a separate mini-screen positioned dead-centre! 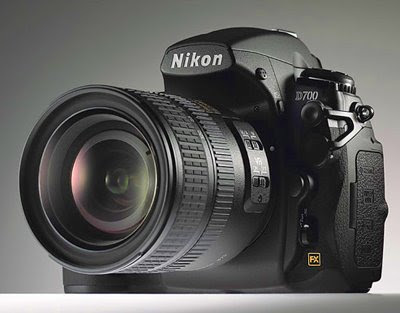 Nikon has now officially revealed the compact, professional, twelve megapixel, full-frame (FX format) Nikon D700. From the outside the D700 is virtually identical to the D300, albeit for its larger 'full frame' viewfinder, internally it's almost identical to the D3, except for a slightly slower shutter (five frames per second up to eight frames per second with the MB-D10 battery grip). By comparison it also includes several function improvements over the D3 including Image Sensor cleaning ('sensor shake'), more flexible 'hard button' programming, virtual horizon in Live View and different DX mode indication on the focusing screen. The D700 also becomes the first professional Nikon DSLR to sport a built-in flash. On sale in July for US$2999, body only. If you've got 38 minutes to spare, and want to know everything that Apple want you to know about their latest iPhone, click here. If you're up to speed with the current iPhone, there is also a 10 minute summary of features unique to the 3G version. 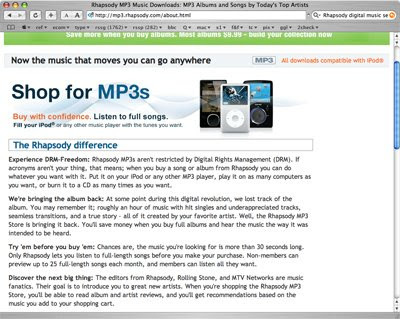 Real Networks has announced that its Rhapsody digital music service is selling DRM-free MP3s from all four major records labels, following in the footsteps of Amazon and Napster. That means you can now shuttle Rhapsody tunes onto any MP3 player, including the iPhone and the iPod. Rhapsody will continue to offer an all-you-can-stream subscription service. But this will take a backseat to unrestricted MP3 downloads, which Real insists on calling "Music Without Limits." The company boasts that over the next year it will spend $50m promoting this change in philosophy - including $15m in the third quarter alone. 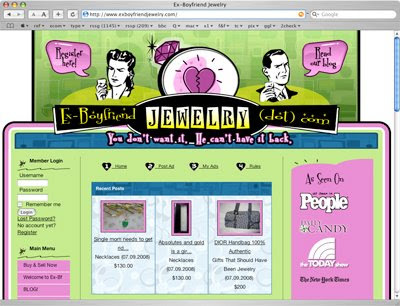 "Until now, legal digital music has suffered from severe limitations on where consumers could buy it and how they could use it," reads a canned statement from Rob Glaser, chairman and CEO of RealNetworks. "'Music Without Limits,' fixes those problems and will make digital music easier and more valuable for consumers." Brett's 2p'orth: Personally I've never seen the attraction of subscription-based music services. I wonder if we will will ever see all Digital Rights Management systems abolished? Also, in case you're thinking of trying it out, this service is only available to US-based, Windows users. 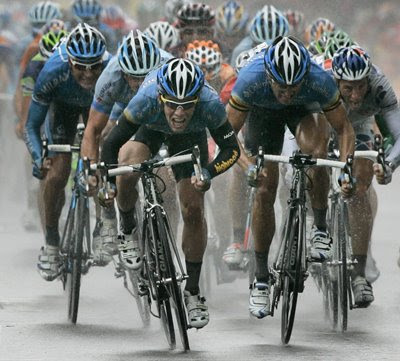 Yes, we have reached the 7th month of 2008. If you made any New Year resolutions, this is the time to check them and see how you are (or aren't) doing. And to do something about the 'aren'ts'. So far, I'm not doing too bad. 1-4 are all happening. The six-pack isn't there yet, but it is closer than it was in January. I've added an inch to my biceps. 7-10 have been addressed. 11 still needs the printed pieces doing. 12 is happening. 13-17 need addressing. 18 and 19 are in process. I know that not everyone feels the need to make resolutions in this way. For me, it is a way of making sure that life doesn't simply drift (or, increasingly, fly) by without me knowing quite what I did. 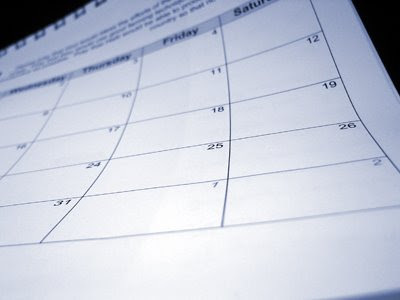 Maybe think of one 'do-able' thing you would like to achieve, make a plan for how to do it and a date to do it by. Then do it.